Firefly, Heroes, Luke Cage, and now Legion. What do all of these shows have in common? They were all spectacular; with cerebral storylines and writing, great acting, and intriguing characters. Oh, and they all ended quite early in their runs. Over the years, we’ve seen a lot of shows like these that have made quite the impact on many of us viewers, and they always seem to get struck down (whether by way of poor ratings, studio executives, or some other show-killing problem) right in their prime. 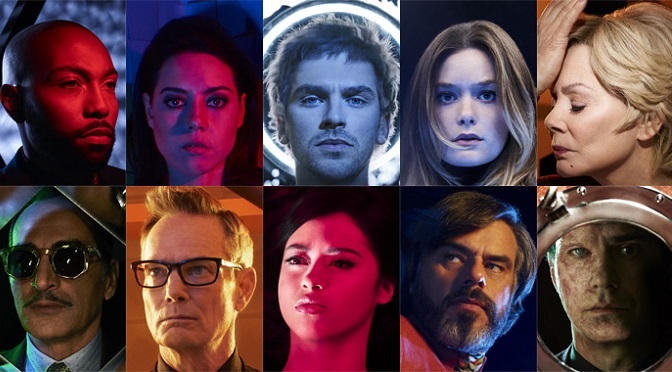 If you haven’t heard the news, it seems that FX’s Legion (starring Dan Stevens in the titular role) will be coming to its finale at the end of the upcoming third season. 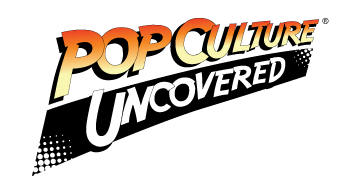 That’s right: one of our favorite non-Netflix comic book shows that we here at PCU have covered since the beginning, is coming to what some see as an early close. Well sure, Noah. That’s literally what a narrative is. Still, just because there are three parts to a story diagram (Exposition, Climax, & Conclusion, for us literary types), doesn’t mean that said story has to be done starkly in three parts/seasons. This (and other shows like it) are stories that are rife with content from which to pull. There is so much that can be done to keep these stories going, yet it seems as if today’s audiences just don’t appreciate these narrative-driven programs anymore. Now that that’s out of the way, let’s talk cancellations. In today’s pop culture environment of instant gratification, it seems that shows like the four I mentioned above – which take the time to flesh out characters, have low-key scenes to build emotional impact, and/or don’t have a whole lot of superhero-like fight scenes – may simply be too cerebral for much of today’s audiences. Now, please know that, by that, I am not saying that audiences are not intelligent enough to get the show(s). I’m simply positing that perhaps many people can’t seem to get into the headspace that these shows require in order to fully experience and enjoy them. Still, I’m of the mind that it shouldn’t result in the cancellation of these shows. Rather, the creators and show-runners could perhaps move them to a streaming service – much like when Lucifer was cancelled from Fox, and picked back up by Netflix. There’s more to it than just the audiences, however. Sometimes, it’s the way the shows are actually put together that makes them more geared towards viewers who love intelligent TV. To paraphrase our own Pete R., cerebral shows like the aforementioned ones seem to lend themselves more towards true narrative. Eschewing “monster-of-the-week” formulas tends to result in shows that lead to a more natural conclusion instead of needlessly jumping the shark at some point. Here’s the rub, though: avoiding that monster of the week trope also means that there are fewer entry points for anyone who might be new to the show; thus forcing them to catch up via binge-watching it on a streaming service. This could end up leaving the viewer outside the zeitgeist; which matters quite a bit to some of us. We like to be able to know what’s currently going on in our respective fandoms, so we really make it a point to stay up-to-date on these types of shows – when we watch them, that is. We’re all for being able to wrap our favorite stories up in a nice neat package. However, when it comes to these smart and cerebral shows that displayed such a high caliber of acting, writing, and production, we really wish that they could last longer. As Billy Joel said, “Only the Good Die Young“. According to FX CEO John Landgraf, the final season of this fantastic show is set to air on FX “sometime in June” of 2019. True to form, the season is set to drop another bombshell into the mix, by introducing Professor Charles Xavier (aka Professor X) as David’s real father, who will be played by Game of Thrones’ Harry Lloyd. At least that gives us hope that Hawley will be answering some of the major questions that viewers of Legion have had since the beginning. It feels like a writer of Hawley’s level won’t leave us hanging, and will wrap things up well, and give this great show a great send-off. You know we’ll be watching (and tweeting), so make sure you join us!